This week we're pleased to chat with Kasey Michaels, chair of the 2015 Novelists, Inc. Conference, about the hot topics at this year's conference, new challenges and opportunities for both publishers and authors, and more. Kasey is the New York Times and USA Today bestselling author of more than 110 books (she doesn't count them). She is a recipient of the RITA, a Waldenbooks and Bookrak Bestseller award, and many awards from Romantic Times magazine, including a Career Achievement award for her Regency era historical romances. 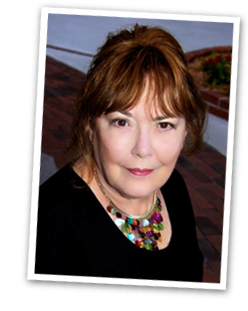 She is an Honor Roll author in Romance Writers of America, Inc. (RWA), and is a past president of Novelists, Inc. (NINC). Please tell us a bit about Novelists, Inc. What is the mission of the organization? What are the goals of the conference? Let’s begin with this year’s conference dates: Wednesday, September 30 – Sunday, October 4, 2015. Registration cutoff is August 28th, so there’s still time to arrange to network with us – and with Vearsa -- in Florida! Novelists, Inc (NINC), is an international organization of close to 900 multi-published career authors representing all genres of popular fiction. There are no unpublished in the organization, no tiers of membership, no fans, no contests, no awards. This structure, in addition to our emphasis on “the business of the business,” makes NINC unique in the world of writers organizations. Our membership requirements are listed here. That’s why, as Chair, I tell speakers that, when considering their workshop content for NINC, they should probably begin where they left off when speaking to other groups. Novelists, Inc., in acknowledgment of the crucial creative contributions novelists make to society, asserts the right of novelists to be treated with dignity and in good faith; to be recognized as the sole owners of their literary creations; to be fairly compensated for their creations when other entities are profiting from those creations; and to be accorded the respect and support of the society they serve. NINC members range from those in the business for three or more decades, many with fifty or more published novels in their resumes, to newer writers just starting out. In NINC, they are peers, equals, and that’s part of the beauty of the organization. If you qualify for NINC, you know how to write — now let’s learn the business of writing, staying in the game even as the goalposts keep moving. Fully believing that allied industry professionals and their (gasp!) content providers need a two-way street of communication, NINC set out to engage with the allied publishing industry, bring them together with our members for open, frank conversation between professionals, to share knowledge and build more productive associations. While First Word is open to all writers and related industry, only NINC members and related industry may attend the main conference. Qualified applicants may attend the conference while still going through the application process. What are some of the hot topics at this year's conference? Our conference this year is titled NINC World – NINC Goes Global. Thanks to our Media Consultant, Porter Anderson, this year’s First Word day sessions will look at aspects of the global market from all angles – the good, the bad, and the what comes next. The remainder of the conference, with two days of up to three workshops running per hour, will bring us news on innovations in the library market, getting our books ready for publication in e-markets, working with author assistants, international networking, metadata, promotion, freelance editing, social media, translations, co-authoring, discoverability, specialized workshops on research, contract language, how authors are paid (always a hot topic! ), and much more. How has the landscape of multi-published authors changed in the past few years? There are authors very happy with their print houses, publishing regularly, and no problems. There are authors publishing with print houses while also publishing their backlist and even writing new material strictly for self-publishing (currently called hybrid authors). There are formerly print authors who have made a conscious decision to self-pub only, or have watched their house and or line either shrink or disappear, who are now publishing any backlist they have and new material (many seeing an increase in sales, which is always nice when it happens). They are now one-person publishers. And then there’s the increasing number of indie-first-and-only writers, also one-person industries, who have never worked with a print house. Almost every author who self-publishes (backlist, front list), manages that work soup to nuts, conception to publication and promotion. They offer whole new opportunities for freelance editors, cover artists, technical and publishing support companies (converting files, uploading them, etc), metadata experts, sales trackers, etc. Targeting publishers, these days, print or digital, doesn’t mean just catering to the needs of big and small houses, tailoring plans for them. Now there exists an army of one-man publishing houses who are checking out the markets for their best deals as well – and, of course, sharing the merits or problems they encounter with their fellow NINC members. It’s that old saw: if you like something, you tell ten people; if you don’t like something, you tell everyone. Either way, NINC hears it all! Writers are not reacting anymore, they are becoming increasingly pro-active, increasingly knowledgeable, are in this for the long haul, and are in large part shaping much of the future of publishing. What new challenges and opportunities have arisen for authors? See the above! Add in subscription services, royalty rates and e-tailer programs that sometimes change with the phases of the moon, piracy, plagiarism, on and on. Old problems, new twists on old problems, lots of new problems. Then again, also lots of new opportunities for growth and diversity. As always, knowledge is king, and so I’ll beat on the drum one more time: all genres, all delivery systems, are equal in NINC, all career authors of popular fiction are welcome in NINC, and together we have power. What do you think is the most important thing for authors to focus on in the next 12 months? Writing — that never changes. Networking with other writers of all genres. Delegating and farming out to allied industry if possible when it comes to the jobs they don’t like and that take too much time away from their writing. Good editing. Watching contract clauses like hawks and refusing to sign unfair contracts, be they with publishing houses, cover designers, e-tailers, and so on. Working with their publishers to revamp/reinvent/update publisher-held and currently unexploited backlist for the benefit of both parties, including cross-promoting (NINC members, with an average of twenty-five plus titles per member, have an intense interest in exploiting backlist). Paying attention to the expanding global market, audiobooks, emerging opportunities in POD. Learning how to watch sales and, hopefully, increase sales. Discoverability. Exploring new ways of promoting their work. Good old-fashioned networking. And, of course, they don’t want to wait another twelve months to join NINC!